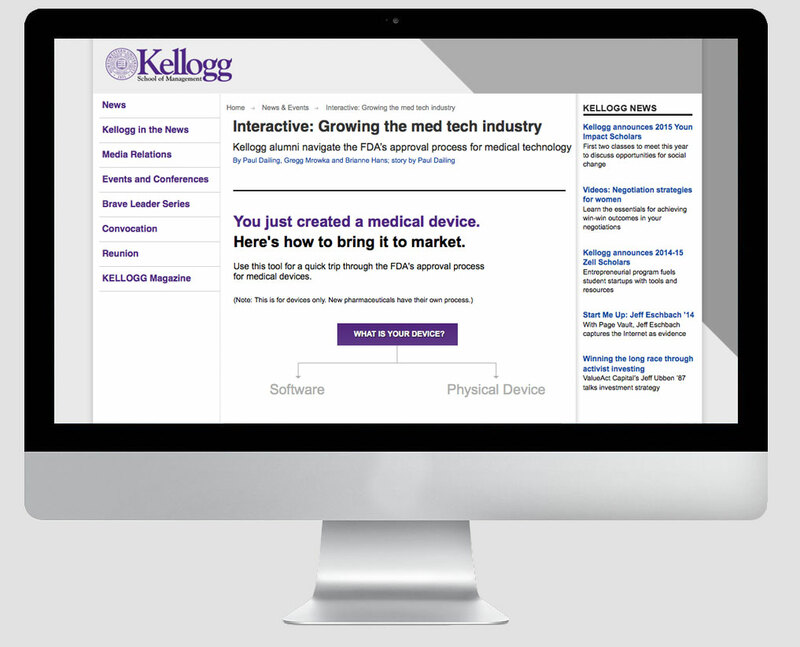 The Kellogg Marketing and Communications team needed an interactive info graphic to illustrate a quick trip through the FDA's approval process for medical devices. Please take some time to visit the project and interacit with the info graphic. View the infographic here. Through early discussions with the content team, we came to the conclusion of creating an interactive decision tree, one that would easily transition throughout different choices during the user’s experience. I made the decision to use Edge Animate as an alternative technology to Flash.